It's been a long time since I read anything by one of my favorite authors, Lilith Saintcrow. I'm a fan of her great world-building, gritty stories, and dark magic. 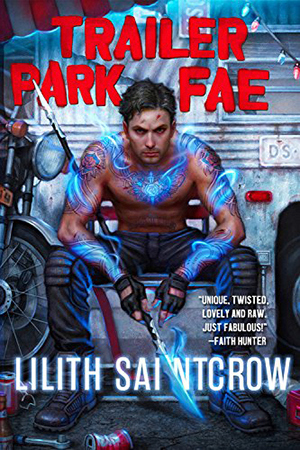 When I saw the cover for the first book in her new series, Trailer Park Fae, I couldn't wait to read it. I mean, look at how cool it is! Now that I finished the book... Well, I want more. I was left with a lot of questions, some confusion, and the feeling that I stepped into a world that is way beyond my comprehension– and this is an urban fantasy novel mostly set on Earth. 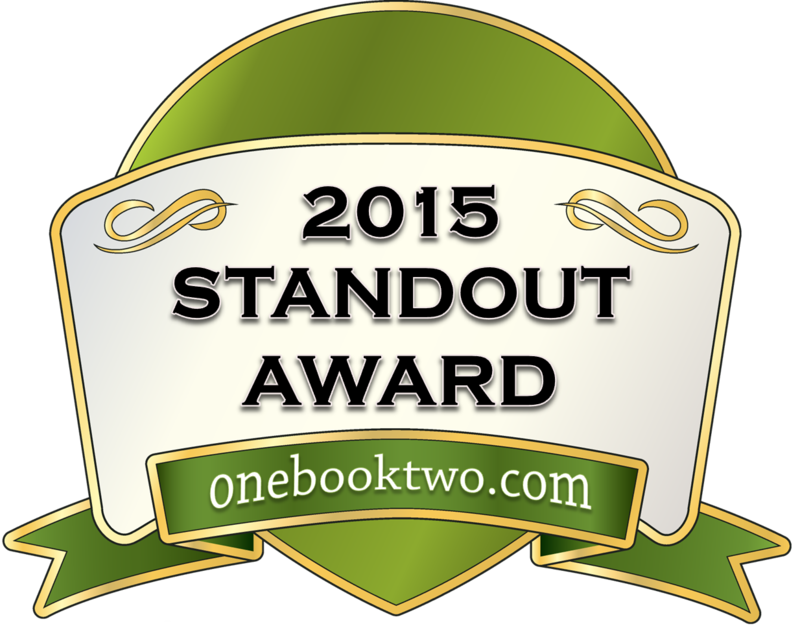 Maybe that was Saintcrow's intention– this is the Fae we're talking about– but it didn't really feel that way. Regardless, I found myself being drawn into the world and enjoying the twists and turns as every character betrayed one another at some point. Definitely something you should check out if you're interested in the plots, conspiracies, and ethereal magic that come hand in hand with the Fae. I love everything about this cover– rugged with great colors. The story follows Robin, a sidhe contracted into servitude by the cruel and devious Queen Summer of the Seelie Court, as she attempts to find the cure for the plague killing fullborn-fae and rescue the boy she's come to care for– a boy who's currently trapped with the Queen. Add to the mix a broody half-sidhe named Gallow, a warrior once high in the Queen's favor, who feels compelled to protect Robin from the fae hunting her as she resembles his late wife. All the while, double-crossing Puck Goodfellow works on both sides, putting the Seelie and Unseelie Courts against each other, his motives unknown to anyone but himself. Overloaded with information yet? Welcome to the world of the Fae, where every act of kindness comes with a cost, betrayals and never forgotten, and magic is thick and unpredictable. The Fae world is like a knife, shining and glittering under the sun, its gleam so enchanting that you forget how sharp it is until it cuts you. Saintcrow excels at writing this sort if twisted beauty, finding the darkness beneath it and letting it hover just under the surface. As with all Saintcrow stories, the magic and the world-building are fantastic. Maybe not as richly detailed as her Dante Valentine series, but still packed with unique ideas that integrate the complex world of the Fae into modern society. She puts her own unique twists on their classic mythology, giving new perspectives to old fairy tales. While there aren't as many characters as some of her previous series', the ones that we're familiarized with are strong and complex. Gallow is grumpy and tough, his grief palpable when he starts thinking about the similarities between Daisy– his dead wife– and Robin, the fae who looks like just like her. Robin is sweet and fragile, but nowhere near as weak as she seems. She's smart and determined, with a singing voice that can literally kill. Summer is devious and clever, the perfect model of a Fae Queen who would say one thing to trick you three different ways. Even more dangerous is Puck, a trickster by nature, who sometimes acts like he's from another planet, not just another realm. He's got more than a few tricks up his sleeve, and is exceptional at keeping everyone guessing about his next move. All of this being said, I went cross-eyed a few times. Saintcrow's descriptions, which were a perfect fit to the story in their almost poetic language, were overwhelming. They would go on for ages, and I personally found it to be a little too much. A lot of the magic used seemed like a one-time-use to get the characters out of a sticky spot. But the thing that bothered me the most wasn't actually the story itself, but the Fae. While I'm hoping to change this by the time NaNoWriMo comes around, I'm not familiar with every aspect of the Fae. I know enough to scrape by, but I wouldn't be passing a Fae mythology course with flying colors if you know what I mean. We were introduced to a lot of different Fae, and I only understood what a handful of them could do. Saintcrow's descriptions are vivid, but they focus on the visuals rather than the details of a certain being's power. To someone who doesn't know a lot about the Fae world, I'm sure they would find it very, very confusing. So, did I like Trailer Park Fae? Yes. I'm always excited in a new fantasy series by Lilith Saintcrow. I want to see what she creates and draw inspiration from it. I was just expecting something more, something with a little more clarity, perhaps. I definitely recommend this to any reader with a fascination or fondness for the Fae– if you can think of one obscure type of creature from that mythology, it's probably in here– but would caution other urban fantasy fans. I'm not saying you won't enjoy it, you might, but you'll be left with a lot of questions and few answers. Still, confusion pushes us to find answers, and there's nothing like the thrill of a revelation, no matter how grim the outcome seems.